Incorporate the following foods into your diet to help improve concentration and boost mood. If you rely on copious amounts of coffee or sugar to stay awake and focused during work, it may be worth reassessing your diet. The food we eat fuels our brain, so it is important that we’re fuelling correctly. The following foods have been proven to help naturally increase brain power while lifting your mood. To boost concentration the nerve fibres that send messages between brain cells need insulation from a fatty substance called myelin. The fatty acids (including omega-3) found in oily fish help to build this substance, making it a key ‘brain food’. Try: a tuna salad for lunch or a fish oil supplement. Another great source of omega-3 fatty acids, pumpkin seeds are also full of zinc which helps to boost concentration. Try: a handful of pumpkin seeds mid-morning. Spinach is rich in potassium, and potassium helps to increase the speed of signals sent between neurons to make the brain more responsive. Try: adding some raw leaves to a salad or including it in a smoothie. Helping to combat memory loss, blueberries contain antioxidative and anti-inflammatory compounds shown to have a beneficial effect on the nervous system. 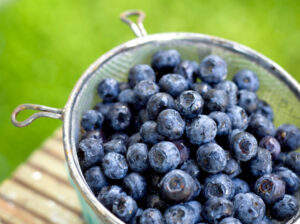 Try: snacking on blueberries during the mid-afternoon slump. Green tea has less caffeine than coffee but still acts as a mild stimulant to perk you up while providing your body with health-boosting antioxidants. Try: replacing your morning coffee with green tea. Packed with neuroprotective compounds like omega-3 fatty acids, antioxidants and polyphenols – walnuts can help to improve your inferential reasoning skills. Try: adding a handful of walnuts to your salad at lunch or morning porridge. Eggs contain phenylalanine, a molecule that helps the body produce the mood-boosting chemical dopamine. This chemical will help you feel more energised and enthusiastic. Try: waking up a bit earlier and cooking eggs for breakfast. Find out how a nutritionist could help you reassess your diet on our healthy eating page. View and comment on the original Express article. Kat is a Content Producer for Memiah and writer for Nutritionist Resource and Happiful magazine. Change your eating habits in just seven days Do we need protein supplements? Boost your energy - all day long!